Create more privacy & customize your tailgate with these paintable louver fillers. Create more privacy when you're not towing with these accessory louvers. 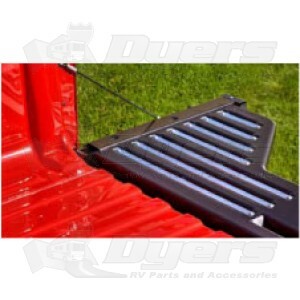 The metal bars secure onto the truckbed side of the gate with a self-tapping screw. The VI-4000 does not obstruct airflow, so you can leave them on even when you are towing.